Shovels are a very important part of a detectorists tool kit, therefore it is critical that you have a strong and sturdy one especially if you do a lot of digging in areas with medium to heavy vegetation. 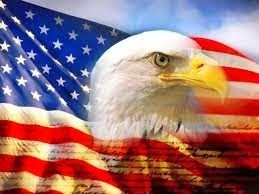 One of the best manufacturers of professional shovels and hand digging tools is Predator Tools. 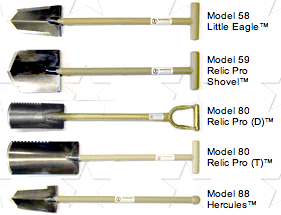 They have a wide variety of shovels in different sizes, with both long and short handles and many come with serrated edges which enable you to cut through roots and other vegetation. One of their newest shovels is Model 25 below which features a double serrated blade. 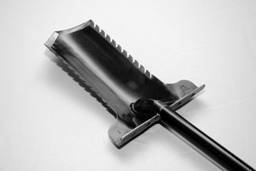 If you want something a little different you may want to look at the Gerber 22-01945 Entrenching Tool with Pick and Serrated Blade. 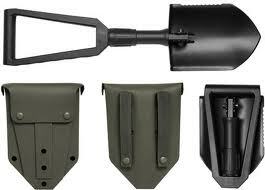 This shovel can fold and fit into a carry case which you can attach to your belt.